You’ve probably heard of second hand smoke. But did you know there is such a thing as third hand smoke? It’s the chemical residue that lingers on indoor surfaces as a result of tobacco smoke. If you’ve just purchased a Loft from a smoker (or you’re a smoker and you’re selling your Loft), then you’ll want to take steps remove this residue and the smell that it causes. Here’s what you need to know. While the smell of tobacco smoke can be unpleasant, it’s the residue that’s left behind that can cause serious problems. You can become exposed to these chemicals through touch or by breathing them in, and they can be a health hazard to children, adults, and even pets. Unfortunately, this residue can remain even after the smoking has stopped. A study conducted by San Diego State University discovered that even after a Loft had been cleaned and stood vacant for two months, it still contained the pollutants found in thirdhand smoke. Did you know that smoking inside a Loft can have a negative effect on its value? In fact, Realtor.com concluded that smoking can reduce a Loft’s resale value by up to 29 percent. Although sellers are not required to disclose if there was smoking in the Loft, you may be able to detect an odor. You can also ask your Loft inspector whether they think there was smoking in the Loft. And if you are genuinely concerned, then ask the seller’s agent. If they’re reputable, then they will give you an honest answer. 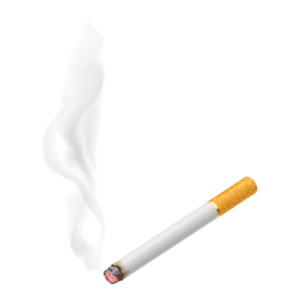 It’s important to know that getting rid of thirdhand smoke for good may take time, muscle, and considerable expense. Unfortunately, spraying some air freshener and opening the windows isn’t going to eradicate the problem. The smoke has been repeatedly filtered through the Loft’s HVAC system, which will require a thorough cleaning. Hire a professional to clean the air ducts and replace the filter on the HVAC unit. In fact, consider replacing the air filter once a month until the problem is under control. You should also clean the evaporator coil. If these steps don’t help with the smell, you may need to replace the whole system. Changing light bulbs, since the polluted dust on them will be activated with heat. Using an air purifier in the Loft. Although you shouldn’t necessarily rule out buying a smoker’s Loft, you do need to be aware of the issues that it can cause. Weigh the health risks and consider the time and money that you’ll need to spend to get rid of the odor and residue for good. Only then will you be able to make an informed decision.